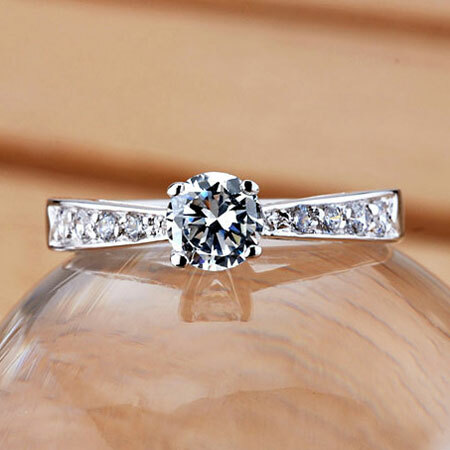 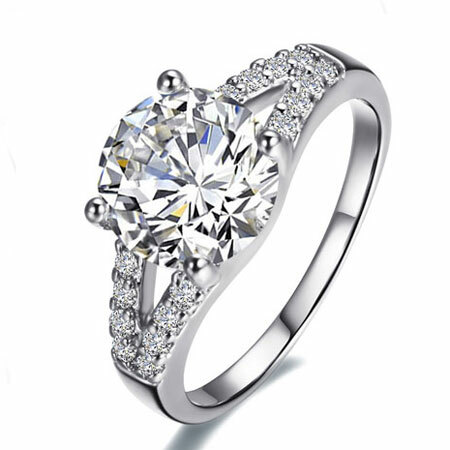 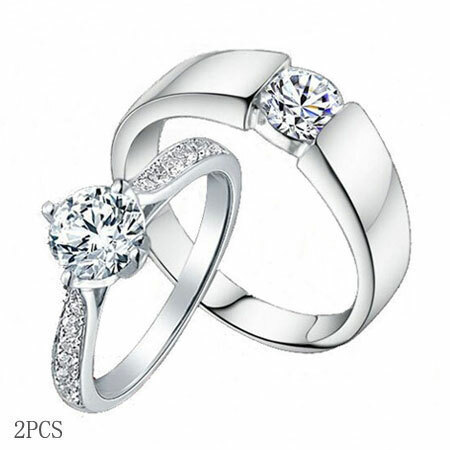 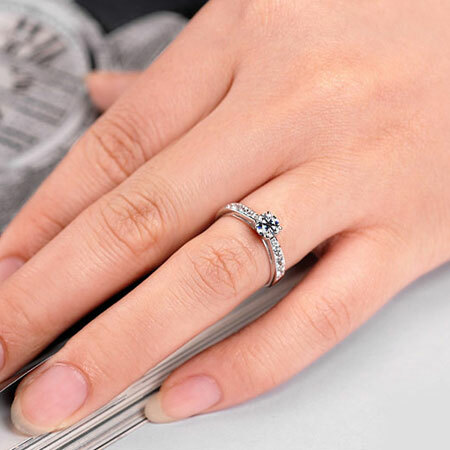 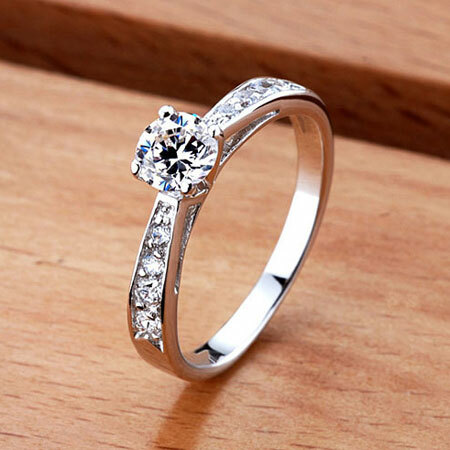 Sparkling cubic zirconia stones on this wedding engagement ring set make you spotlight in your wedding activities. 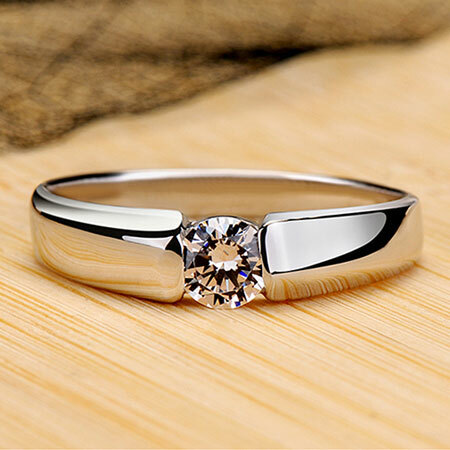 Sterling silver wedding engagement rings do not have to be expensive but they must look good enough to match your style. 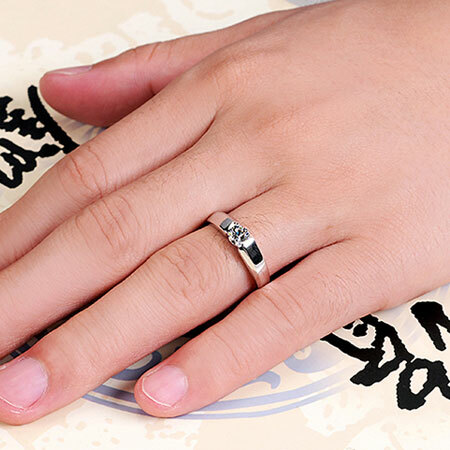 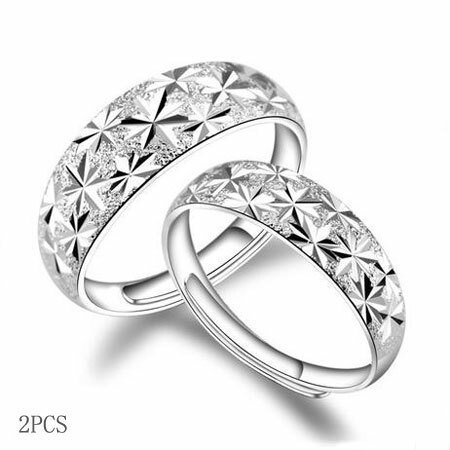 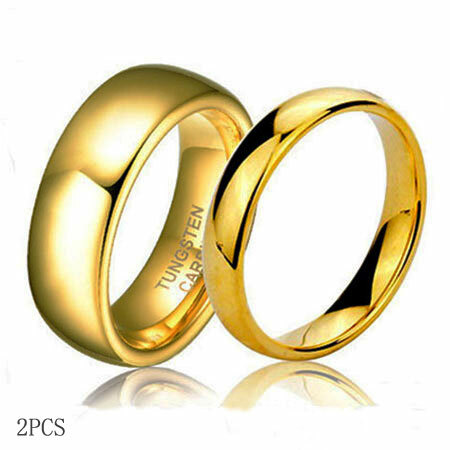 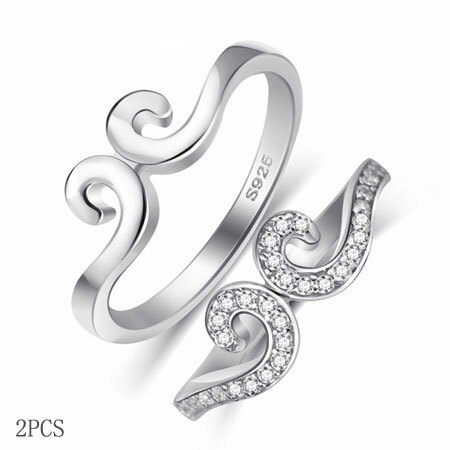 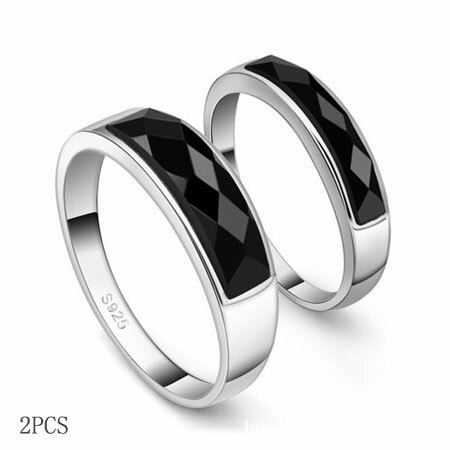 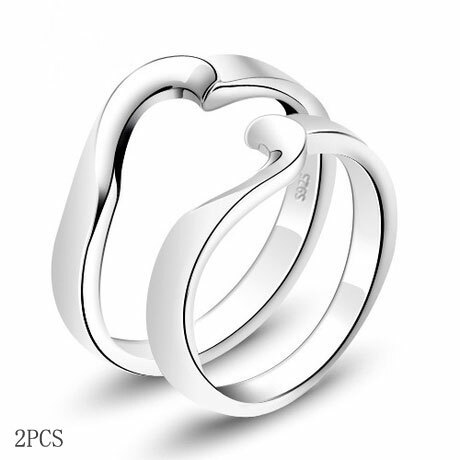 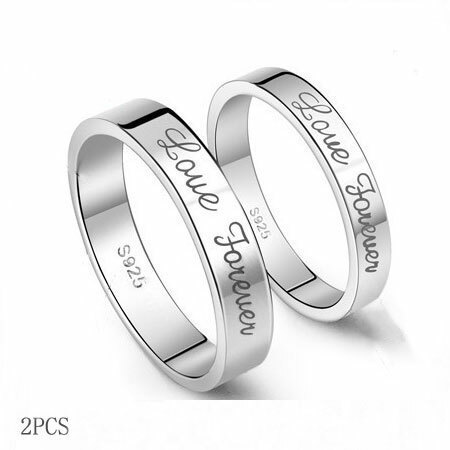 A pair of couple rings are included in the price.